Women, men, elderly, and children made their way to the city of Karbala on Sunday and Monday last week for the holy day of Arbaeen. Arbaeen is the event which marks the end of the 40-day mourning period following Ashura, the religious ritual that commemorates the death of the Prophet Mohammad's grandson Imam Hussein in 680 AD. 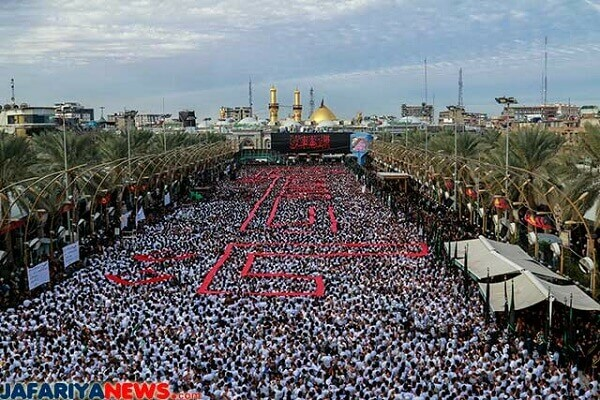 As the Independent reports, massive crowds paid homage to the shrines of Imam Hussein and his half-brother Abbas in Karbala, where they were killed in a revolt against the Umayyad ruler Yazeed in the 7th century AD when they refused to pledge allegiance to Yazeed's Umayyad caliphate. “I came walking from Basra with my wife and three sons... This is the third time. We started walking 13 days ago and reached Karbala on Sunday night,” said Pilgrim Jaber Kadhem Khalif. Umm Ali, who came without her husband, as he is currently fighting ISIS on the front lines, said, “I came with my son and two daughters. I came from Samawa to Najaf by car, then from Najaf to Karbala on foot, to make a plea for my husband's safety. In spite of this pilgrimage being one of the most massive marches in the world, the West conveniently ignored it. Arbaeen is magnitudes larger than the Hajj pilgrimage to Mecca — yet Mecca is the only event that ever receives headlines in the West. 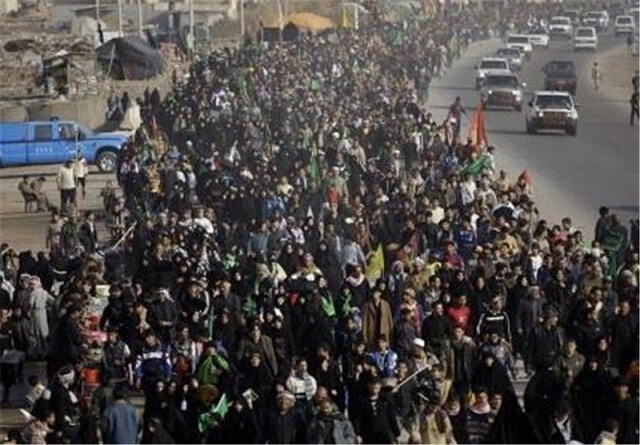 Given the recent revelation that the Shia Muslims are also marching against Daesh, one can't help but wonder why this isn't all over American news. “Unfortunately [some] media outlets have gone for stories that to some extent can be divisive. If a group of Muslims does something good, it's not mentioned or the religion is not mentioned. But if someone does something [negative], it is on the front page and their religion is mentioned,” Mohammed Al-Sharifi, a volunteer at last year's event told the Independent. As the Free Thought Project's Jay Syrmopolous points out, if there is one thing that Islamic fundamentalists and Islamophobic fascists agree on, it's that there should be no “gray zone;” only black and white.